Now, that’s perfect! I LOVE HER HAIR! Ever wonder how you can get the most defined, natural looking, bouncy and flowing twist out?? Well, I have the answer! Often times when it comes to having the “perfect” twist out it’s not just about the product you use (even though that’s a major part of it) what’s equally important is the technique used to give you the best results. 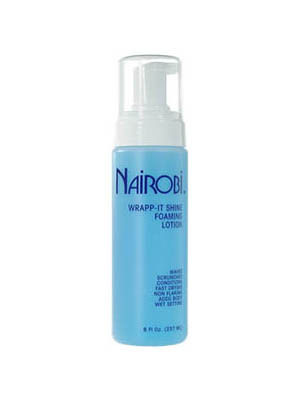 When it comes to the first secret of getting the perfect twist out, I would say that the BEST product that I have come across thus far would be Nairobi Wrapp It Shine Foaming Lotion. This product has given me the best twist outs imaginable. Not only does it provide my hair with shine and bounce but it cuts my drying time in half! Who has time to sit under a dryer for hours or air dry all day? This product is aslo absolutly fantastic because of it’s versatility. You can do twist outs, twist and curls, rod sets, pin curls and so much more! A little trick that I also use this product for is to revive my day three twist out hair! After removing my silk bonnet and fluffing my hair I use this product to give my curls a little added definition. 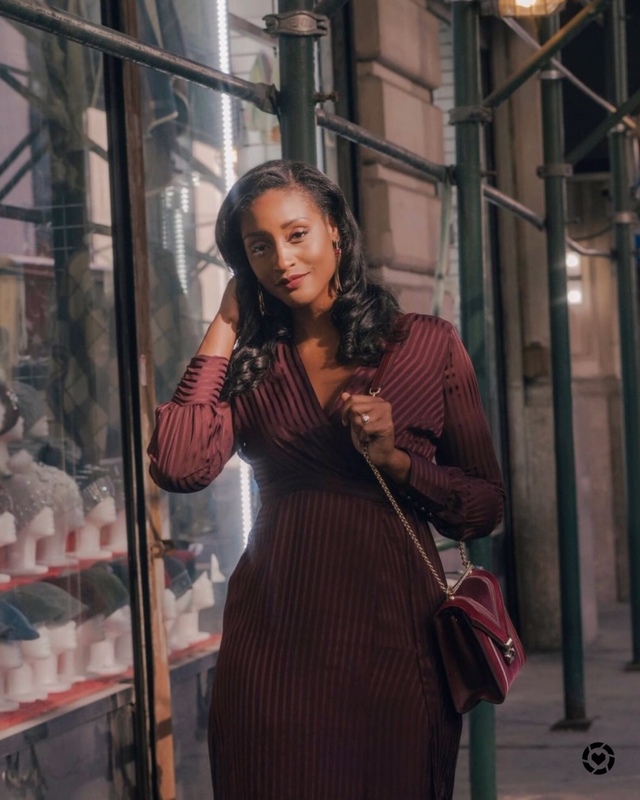 The second secret to the perfect twist out would be the master the technique of flat twisting your hair. Flat twisting is basically twisting your hair to the scalp similar to a cornrow. I get the best results from flat twisting my hair because I get a more consistent pattern and added volume (big hair). Lastly, no matter what you do ALWAYS detangle your hair and get it as smooth as possible before twisting (the nairobi wrapping lotion helps tremendously in this process. To get my hair as smooth as possible I always use my denman brush. (Be careful not to try to brush hair from root to end because the brush will literally fall apart. Brush ends first and then proceed to the roots! I can’t stress that enough). That’s all I have beauties! What are some of your secrets to to getting the picture perfect twist out?? Next Post How to grow long black hair! Wow! Thanks so much! I'll be sure to check your blog out as well! Gorgeous!!! Gotta get this wrapping lotion. I just saw you on Taryn916, and I had immediately had to check out your twist out routine. I love it! Your hair is beautiful. This is the best twist out I've seen, absolutely beautiful!! Can you show us your flat twist braid pattern for this style? Thanks! Thanks so much everyone!!! I appreciate the love and support! I'll definitely do a post that goes into more detail about the pattern I use for my flat twist…it's quite simple though…I just do a traditional two strand flat twist! Detailed post on that coming soon! Same here! Just saw you on Taryn's vid and had to check out that twistout routine! Saw you on Taren's Carol's Daughter video. Your hair looks FAB!! Wow!! Thanks so much!! The support is really appreciated!! I also saw you on Taren916's vlog. Do you know if the Nairobi works on shorter hair? Hi! Thanks for much for checking out my site! To answer your question, I believe Nairobi works on many different hair lengths! How short is your hair? It's great for not only twist outs but also as a styler to enhance curls for a wet and go look by using a denman brush after application. That would be ideal for shorter hair! Let me know if this helped! Seen you on YouTube(Taren916)! I used Nairobi when I was relaxed and always achieved beautiful bouncy wraps with it. I'm still trying to perfect my flat twist. Love your site. Joined, hope you'll do the same. Thanks again! 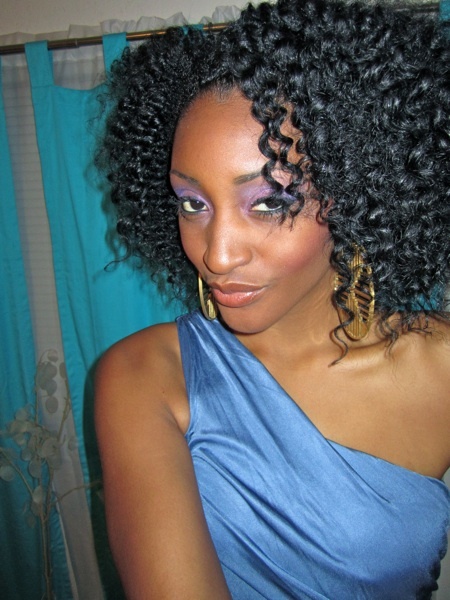 Usually, when you think of bouncy wraps you think of Nairobi…but it works equally well on natural hair for twist outs! I'll deff check out your blog! Thanks for checking me out! Where do you purchase this and do you still use it for twist outs?